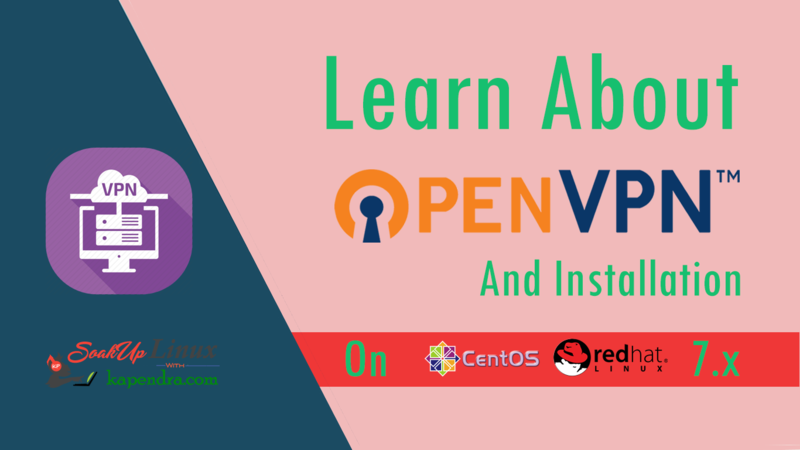 Home Awesome Tools How To Install and Setup OpenVPN Server On CentOS/RHEL 6? In a server environment is s very important to access servers with security. To implement this network admins or security team allow specific network or a list of IPs to get connected. Now all the people with in the allowed network are allowed to do several tasks like maintenance work or for troubleshooting. But what would happen when you are not in the allowed network and it’s really urgent to get connect with servers. Here we have a need a VPN. OpenVPN was first developed under OpenVPN project/OpenVPN Technologies, Inc. and it was originally developed by James Yonan using C language. Its initial release was 0.90 on date 13 May 2001. OpenVPN is an open-source software application which uses custom security protocol to set up a VPN by key exchange over SSL/TLS. It creates a secure point-to-point or site-to-site connections. It also Works in routed or bridged configurations and remote access facilities. OpenVPN allows you to traverse through NATs and firewalls. OpenVPN allows connections from one network to another using a pre-shared secret key, certificates or username/password. When there is a multi-client-server infrastructure architecture, it allows the server to release an authentication certificate for every client. It uses the OpenSSL encryption library extensively, as well as the SSLv3/TLSv1 protocol, and contains many security and control features. In this article, we will learn to set up OpenVPN. For this scenario, we will use a system as OpenVPN server and two client system, One as a windows client and other as Linux client to test our work. I did a lot of research and came up with an exact solution. I tried with many tuts present online but none of them was working perfect and without any flaw. So read it completely and do not miss any step. After packages installation, we need to set up Easy RSA for key generation purpose. This package creates certificates for server and client for secure communication. Please follow given below steps. After EasyRSA set up we will create the PKI followed by setting up CA, the DH params and the server and client certificates using following commands. Now, creating certificate files for the server. Finally, create separate certificate files for each client that will use your VPN server. I am considering my CLIENT name is the client you may change the highlighted bold value with your custom name. To use our newly created servers keys an certificate(except client’s) we need to the following command. 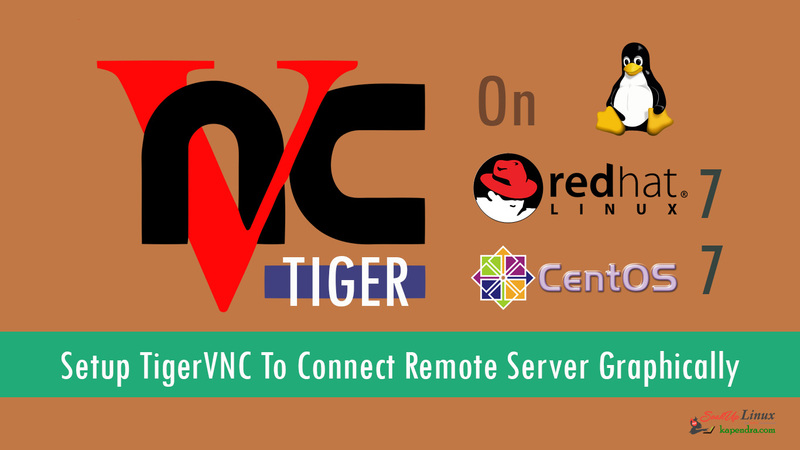 The CRL is read with each client connection when OpenVPN is dropped to nobody to run following. We need to set up an OpenVPN server.conf file. For do the same copy and paste given below excerpts in your file. Append the given below line and change highlighted values according to your scenario. Note: Use the Port Number and Protocol wisely because these port and protocol will be used in iptables rules. Now Save the file using the command :wq! Now Save the file using the command :wq! and to avoid an unneeded reboot run below command. Save the file using the command :wq! run the following command to give execution permission. 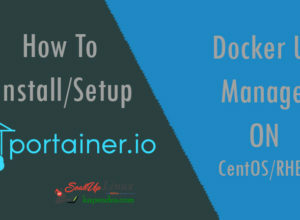 Previous articleHow to Install Docker on Ubuntu Server? 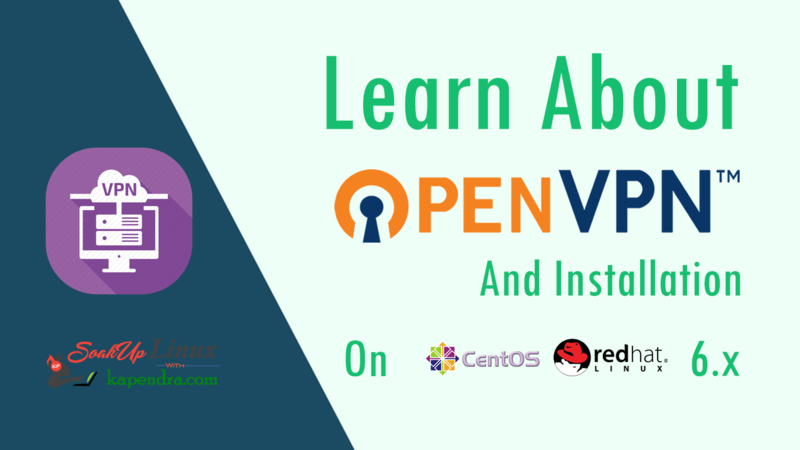 Next articleHow To Install and Setup OpenVPN Server On CentOS/RHEL 7?